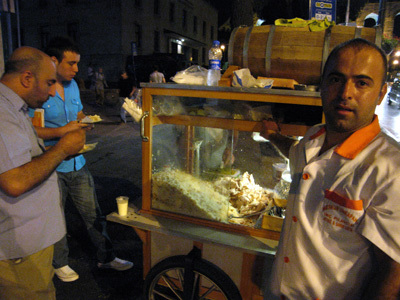 At Istanbul Eats HQ, the conversation comes up every once in a while about how çiğ köfte has emerged as a sort of fast-food franchising opportunity: young entrepreneurial types are opening up çiğ köfte joints in all sorts of neighborhoods in Istanbul these days. Which, we all agree, is pretty cool. Rather than opening up a KFC or an Orange Julius in the food court, the ambitious souls of Turkey more commonly open up a raw-meatball stand instead. 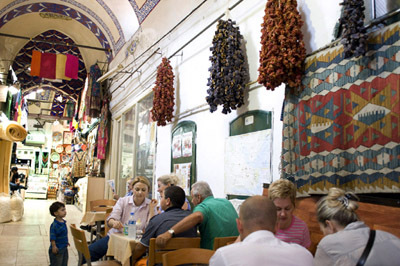 Old-school çiğ köfte is a specialty of the southeastern Turkish city of Urfa that is rumored to have been invented by the Prophet Abraham himself (or perhaps his mother – the historical record is thin on this). 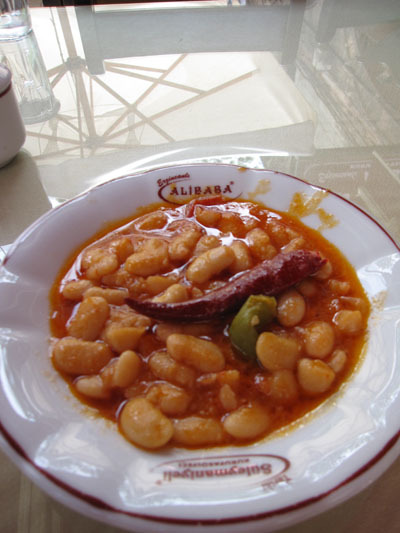 Before the Internet howling starts, however, we will note that one does find regional varieties of the dish throughout a region extending from Elazığ to Mardin and beyond. 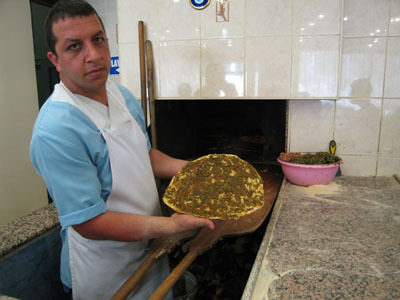 Basic çiğ köfte involves salça (tomato and/or red pepper paste), finely ground bulgur, lean-ground beef, parsley, green onion and a solid dose of garlic and isot pepper. Theories abound about what makes this raw-meat snack worry-free: perhaps the long process of kneading these ingredients together “cooks” the beef, or the heat of the pepper does the trick? One thing we can say for sure: çiğ köfte needs to be enjoyed shortly after it is kneaded, before the bulgur absorbs moisture from the rest of the mixture and begins to swell. Well-made çiğ köfte does not sit around getting funky. Unfortunately, the Turkish Health Ministry does not ascribe to such ideas about the safety of çiğ köfte and has outlawed the genuine article. Spoilsports. 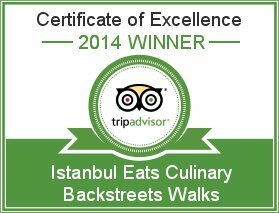 As a result, these days, the çiğ köfte being sold at takeaway places is no longer the raw real deal. 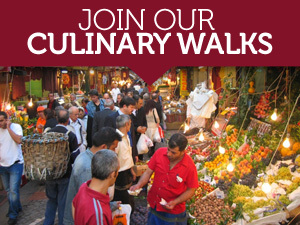 Instead, these vendors substitute walnuts or extra bulgur for the raw meat one would have once expected. 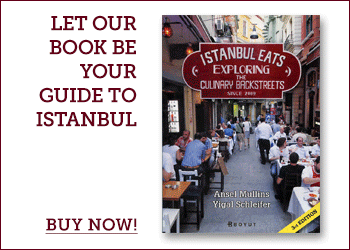 That is not to say that çiğ köfte as a fast food is a wholly recent phenomenon. 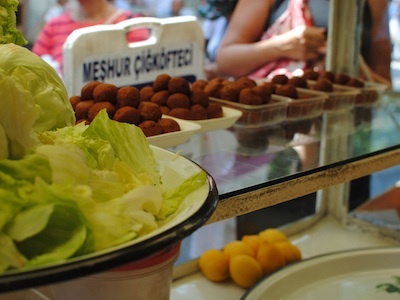 We recently found ourselves in the Kadınlar Pazarı neighborhood, standing in traffic, staring greedily into an ’80s-vintage çiğ köfte stand. A retired Turkish fireman pointed his pudgy finger at us: “I have been eating the çiğ köfte here since this kid’s grandfather was running the joint!” The finger-pointing was more enthusiastic than aggressive, an attempt to reinforce a truth we were already aware of: that the çiğ köfte at Hacı Beşir Usta’s stand is something special – pleasing the officers of the modern-day Ottoman Fire Brigade for three generations is no mean feat! 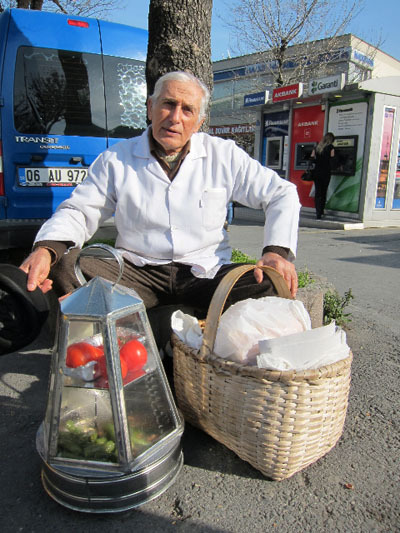 At Hacı Beşir, grandson Yunus (the aforementioned “kid”) runs the show most afternoons, and he pinches, rolls and squishes to order with the confidence of a newly-minted usta, combined with the ego of a 20-year-old Turkish male. And his pride is justified. 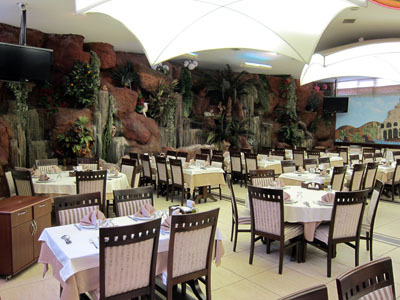 The çiğ köfte he serves up is a stunner. 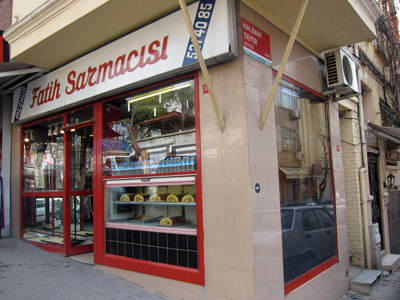 The guys at Hacı Beşir compensate for the lack of raw meat with ground walnuts that are added to the base of bulgur, tomato paste and pepper paste. But the real treat is in the spicing: the heat of the pul biber is solid, but smoothed out by a generous use of isot, a smoky, flaked pepper that is the consummate Urfa specialty. (Abraham used isot, no doubt.) 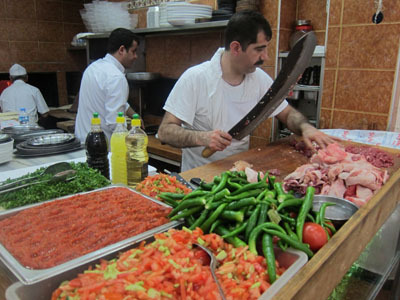 They also roll their çiğ köfte in spring onions, a nice final touch before loading the köfte into a crisp leaf of iceberg lettuce and squeezing a fat lemon wedge over the whole operation. 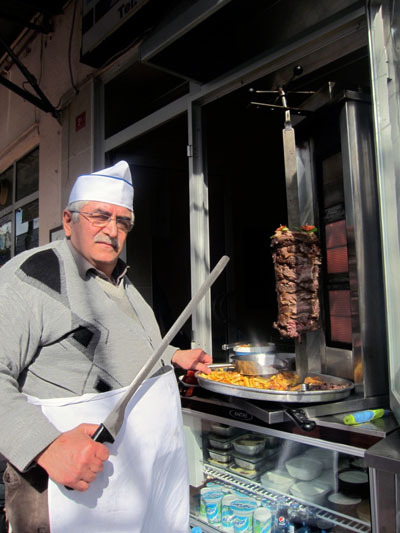 Yunus always hands us our çiğ köfte with a smug look on his face, and every time, when we tell him how much we love this köfte – that it’s the best we’ve ever had – he smirks and says, “Tabii.” (“Of course.”) He might be young, but the Usta-Force is strong in this one.